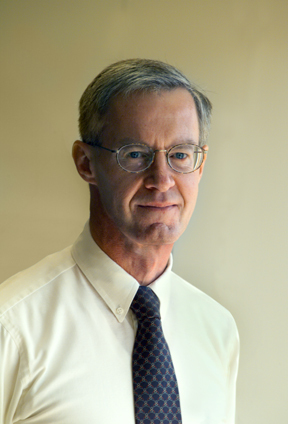 Stephen C. Graves is the Abraham J. Siegel Professor of Management Science at MIT. He was the deputy dean at the MIT Sloan School, 1990–1993 and the co-director of the MIT Leaders for Manufacturing (LFM) Program (1989- 1990 and 1994–2001) and the System Design and Management (SDM) Program (1999 – 2001). He served a two-year term as the Chair of the MIT Faculty, 2001 – 2003. He has joint faculty appointments with both the Mechanical Engineering Department and the Engineering Systems Division at MIT. He is a Faculty Fellow of the Singapore-MIT Alliance. He has conducted industry-based research projects with numerous companies, including Amazon.com, AT&T, Boeing, Eastman Kodak, IBM, Intel, General Motors, Mitsubishi, Monsanto, Polaroid, Staples, and Teradyne. As of January 2009 he is the editor-in-chief of Manufacturing & Services Operations Management, the INFORMS journal for operations management. He has been recognized as an INFORMS Fellow, a MSOM Fellow and a POMS Fellow. Abstract: The intent of this presentation is to review and discuss how uncertainty is handled in supply chain planning. We describe and critique current practices and then prescribe possible improvements to these practices. In particular, we argue that there are a set of tactical decisions that are critical to the proper handling of uncertainty in supply chain planning. We observe that current planning systems do not provide adequate decision support for these tactical decisions; we regard this shortcoming as an opportunity for research and development, which could significantly improve the practice of supply chain planning. Andrew Kusiak is Professor and Chair of the Department of Mechanical and Industrial Engineering at the University of Iowa in Iowa City, Iowa. He is interested in applications of data mining and computational intelligence in renewable energy, product development, manufacturing, and healthcare. Dr. Kusiak has published numerous books and technical papers in journals sponsored by professional societies, such as AAAI, ASME, IEEE, IIE, ESOR, IFIP, IFAC, INFORMS, ISPE, and SME. He speaks frequently at international meetings, conducts professional seminars, and consults for numerous corporations. Dr. Kusiak has served on editorial boards of over forty journals. 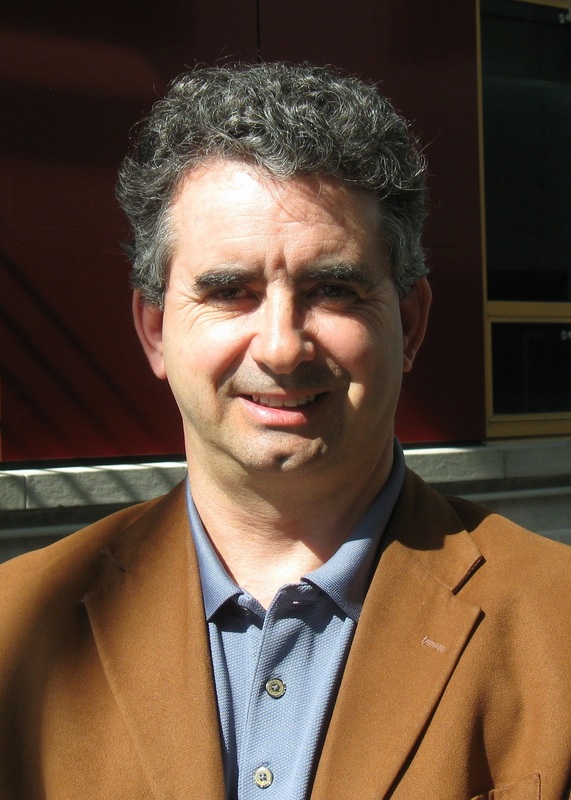 He is the IIE Fellow and the Editor-in-Chief of the Journal of Intelligent Manufacturing. Abstract: Control and management of modern industrial processes offer numerous challenges, ranging from increased technological complexity and rapidly changing technology to cost reduction pressures and sustainability concerns. Such complex systems create great opportunities for optimization in multiple criteria and subject to multitude of constraints. The optimization opportunity has been enhanced by an unprecedented volume of process generated data. The complexity and the attributes of processes call for tools offering capability to construct models and generate accurate solutions. Data mining is a natural approach to model complex and evolving systems. A data-driven framework for modeling industrial processes is presented. A seamless integration of data mining with evolutionary computation has opened new possibilities for development of turnkey solutions. The data-driven approach is illustrated with industrial case studies, including wind energy. Ronald G. Askin, Ph.D., is Professor of Industrial Engineering and Director of the School of Computing, Informatics, and Decision Systems Engineering at Arizona State University. He received his PhD from Georgia Institute of Technology and has 30 years of experience in the development, teaching and application of methods for systems design and analysis with particular emphasis on production and material flow systems. Other interests include quality engineering and decision analysis. He is a Fellow of the Institute of Industrial Engineers (IIE) and a former editor of IIE Transactions on Design and Manufacturing. He has served on the IIE Board of Trustees, as President of the IIE Council of Fellows, Chair of the Association of Chairs of Operations Research Departments (ACORD) and is currently Chair of the Industrial Engineering Academic Department Heads (CIEADH). His list of awards includes a National Science Foundation Presidential Young Investigator Award, the Shingo Prize for Excellence in Manufacturing Research, IIE Joint Publishers Book of the Year Award (twice), IIE Transactions on Design and Manufacturing Best Paper Award (twice), the Eugene L. Grant best paper award from The Engineering Economist, and the IIE Transactions Development and Applications Award. Abstract: CA revolution has occurred over the past hundred years in the variety of products available to improve our personal and professional lives. While new scientific discoveries enabled conceptualization of these products, it has been the innovations in operations that have made these products widely available and affordable to an increasing number of individuals. These innovations have been led by industrial engineering and operations research. In this talk we discuss the major innovations that have led to economic development and improved quality of life and then address the remaining challenges for production systems researchers. While basic procedures such as process mapping and standards will be mentioned, focus will be on deterministic and probabilistic, descriptive and prescriptive, mathematical and computational models as well as new paradigms in system design. While these efforts have been highly successful we will look at some of the key technical and socio-technical issues that remain unsolved providing ample challenges and opportunities for production system researchers. 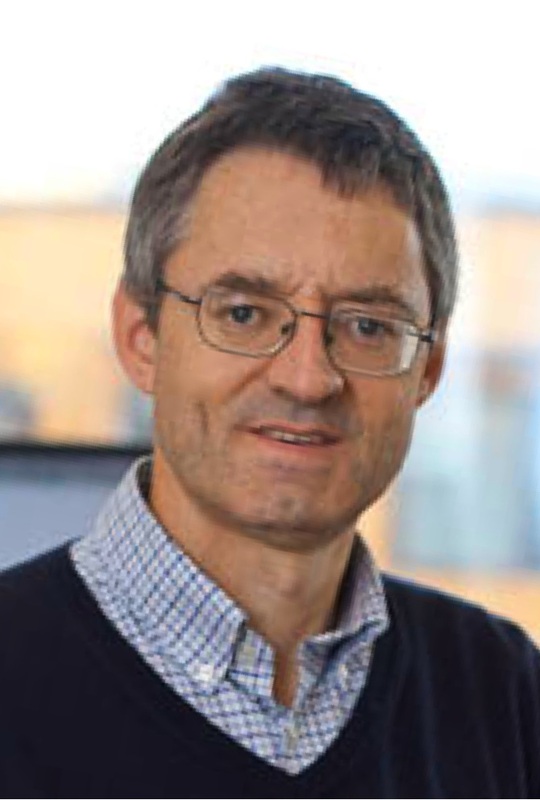 Duncan McFarlane is Professor of Industrial Information Engineering at the Cambridge University Engineering Department, and head of the Distributed Information & Automation Laboratory within the Institute for Manufacturing. He has been involved in the design and operation of industrial automation and information systems for twenty years. His research work is focused in the areas of distributed industrial automation, reconfigurable systems, RFID integration, track and trace systems and valuing industrial information. Most recently he has been examining the role of automation and information solutions in supporting services and infrastructure and in addressing environmental concerns. 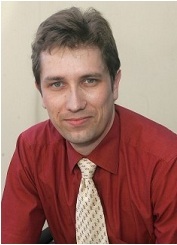 Between 2000-03 Prof McFarlane was the European Research Director of the Auto-ID Center and between 2003-2006 head of the Cambridge Auto ID Lab and co founded a series of programmes on information in the aerospace sector including the Aero ID Programme, examining the role of RFID in the aerospace industry. Professor McFarlane is also Co-Founder and Chairman of RedBite Solutions Ltd - an industrial RFID and track & trace solutions company. Between 2006-11 he was Professorship of Service and Support Engineering which was supported by the Royal Academy of Engineering and BAE Systems. In October 2010, he was appointed Professor of Industrial Information Engineering. Abstract: Are there any benefits in allowing orders and products to be able to manage their own progress through a supply chain? The notion of associating (and even embedding) information management and reasoning capabilities with a physical product has been discussed for over ten years now. This talk will review the notions of product intelligence and examine the rationales for these models and the practicality of their implementation. A number of trial deployments in manufacturing, logistics and aerospace will be examined and the practical pros and cons of the intelligent product model assessed. 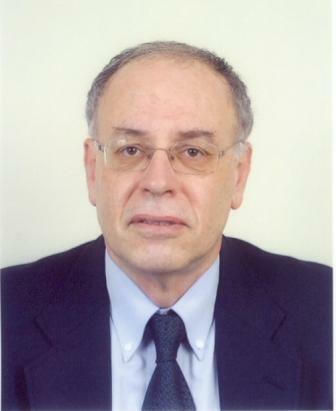 George Chryssolouris is Professor (1993-) of the Department of Mechanical Engineering and Aeronautics of which he was Chairman between 2003 and 2007. He was, for 2006-2007, the President of CIRP, the Paris based International Academy for Production Engineering. He is the Director of the Laboratory for Manufacturing Systems and Automation (LMS) working on a variety of research subjects including production systems planning and control, software development for industrial networking, innovative manufacturing processes, virtual reality engineering applications, and quality control and metrology. Professor Chryssolouris worked at MIT (Massachusetts Institute of Technology) in the USA between 1980 and 1993. He led a research group for the development of information systems and automation for industrial applications. He taught at MIT undergraduate and graduate level subjects related to manufacturing, systems, design and automation. Professor Chryssolouris has more than 300 publications in international scientific journals and refereed conferences. He is the author of two books published by Springer Verlag. He was granted the Frederick W. Taylor Research Medal by SME (2001) for his outstanding contributions to manufacturing research. He was also the recipient of SME/s Young Outstanding Manufacturing Engineer Award (1986). Abstract: The current, unstable market environment promotes flexibility as a valuable attribute for manufacturing systems. This paper introduces the concept of production system flexibility and its evolution over the years in the academic literature and in the industrial practice as well. A discussion of the main flexibility types and the respective quantification approaches is provided. It is argued that the development of flexibility metrics allows the consideration of flexibility in day-to-day stakeholders’ decisions for the efficient design and operation of manufacturing systems. Selected paradigms regarding the introduction of the flexibility concept in industrial practice are also provided and their results are discussed. Finally, an outlook of the future requirements in terms of flexibility is provided, based on the current market environment and the latest trends in manufacturing. Pavel Vrba is interested in applications of holonic principles, multi-agent systems, simulations, semantic technologies and web-based user interfaces in industrial automation domain. 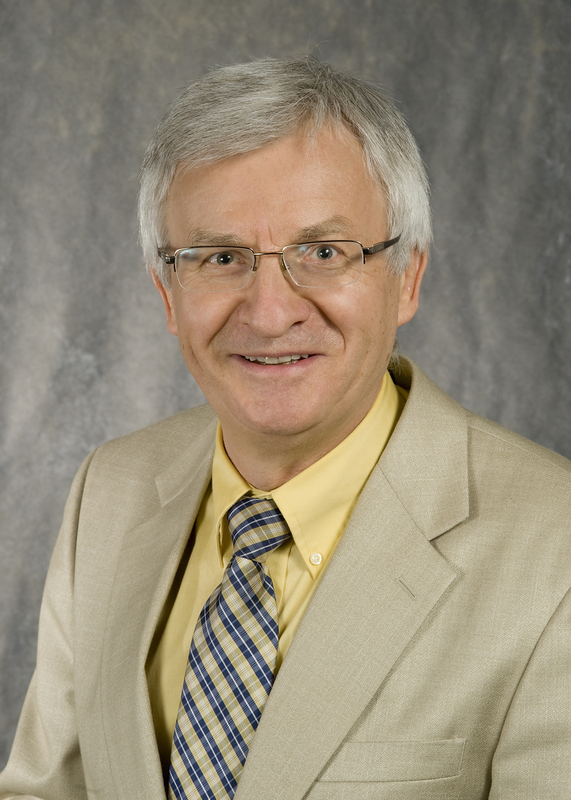 Dr. Vrba has published more than sixty conference papers, journal articles and book chapters related to his research area and seven pending/filed U.S. patents. 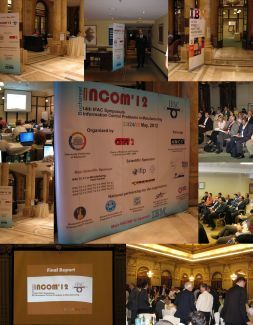 Dr. Vrba is the Vice-chair of the Technical Committee on Industrial Agents within IEEE Industrial Electronics Society and Vice-chair of HoloMAS 2011 and Incom 2012 conferences. Dr. Vrba is currently working at the Department of Cybernetics to establish a new Smart Systems Group after previously working as a technical lead of the Rockwell Automation Laboratory for Distributed Intelligent Control at the Czech Technical University in Prague. 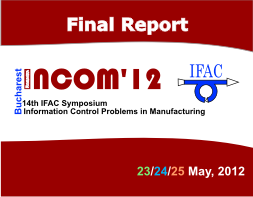 Abstract: The intention of the talk is to give the overview of alternative control approaches that have been applied in industrial automation domain for more than two decades. Apart from more traditional centralized and hierarchical approaches the discussed ones are built on distributed, autonomous and intelligent entities that provide and consume services in networked environments. The key drivers have been holonic concept, multi-agent systems and recently service-oriented architectures. The talk discusses the major benefits as well as prevailing roadblocks hindering the widespread exploitation and deployment in real factories. It reviews the principle methodologies, architectures, tools and either pilot trials or commercially successful applications of industrial agent systems with major focus on achievements of Rockwell Automation company. Benoit Montreuil holds the Canada Research Chair in Enterprise Engineering, focused on the design and management of manufacturing and logistics networks. He is Professor of operations and decisions systems at Université Laval (Québec, Canada). Since getting his Ph.D. in Industrial Engineering from the Georgia Institute of Technology in 1982, he has lead numerous scientific projects and has extensive collaborative research experience with industry. His main research interests lie in developing concepts, methodologies and technologies for efficient and sustainable logistics systems. He stands at the crossroads of industrial and systems engineering, operations research, computer science and operations, logistics, supply chain and strategic management. He has published 232 scientific publications. He has pronounced numerous keynote speeches at international scientific and professional conferences. He is a founding member of the CIRRELT Interuniversity Research Centre on Enterprise Networks, Logistics and Transportation, currently serving both on its scientific advisory board and its administration board. He has vast consulting and entrepreneurial experience. He is Immediate Past President of the College Industry Council on Material Handling Education. He is a Fellow of the Institute of Industrial Engineers. In 2011, DC Velocity has named him Rainmaker of the Year. He is the inventor of the Physical Internet and leads the International Physical Internet Initiative. Abstract: This presentation starts by explaining the essence of the Physical Internet vision, exploiting the Digital Internet metaphor to improve by an order of magnitude the economic, environmental and societal efficiency and sustainability of logistics in its broadest sense, englobing the way physical objects are transported, handled, stocked, supplied, realized and used across the world. Then it formally defines the Physical Internet and describes its key constituents. Examples are the encapsulation of physical objects in world-standard, modular, ecofriendly, designed-for-logistics, smart containers of dimensions ranging from current cargo container sizes to parcel sizes, as well as the transformation of carriers and handling/storage systems for seamless interconnected flow of Physical Internet containers. The presentation then introduces the efficient and sustainable Logistics Web that the Physical Internet aims to enable, as well as its interdependent subsets: a Mobility Web, a Distribution Web, a Realization Web and a Supply Web. It highlights the research and transformational opportunities and challenges along the roadmap towards ever more ubiquitous Physical Internet implementation. It then focuses on presenting the international Physical Internet Initiative, its aims, its complete and in-the-works projects, and its scientific, institutional and industrial collaborators. Cristina Morariu works as a project manager for IBM Global Delivery Services in Bucharest for the last four years. She has been involved in process improvement and enterprise governance, areas of expertise that she is currently applying in the manufacturing domain. Cristina is interested in applications of holonic principles and multi-agent systems, researching the impact of new paradigms such as service orientation or enterprise service bus in the manufacturing area. Her work focuses on Enterprise Bus architectures, acting as a smart middleware support for loose coupled, high flexible systems. 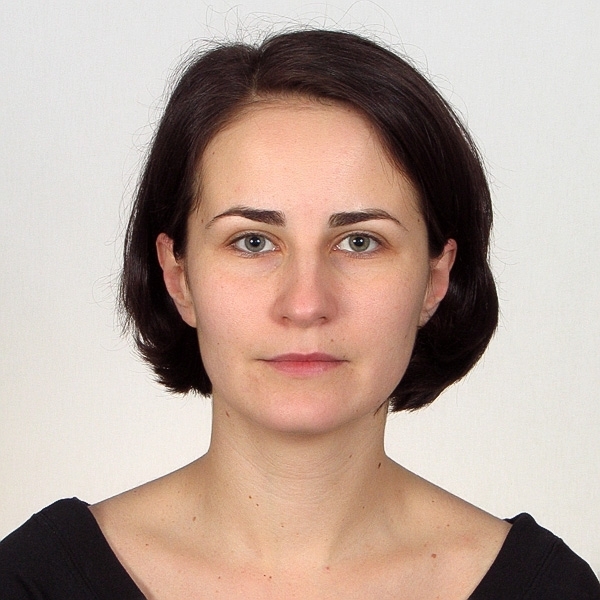 In this area, Cristina is involved in definition and optimization of the business processes that drive the interactions between suppliers, providers and manufacturing systems, using Business Process Modelling simulation environments. Abstract: Today's society, driven by aggressive marketing campaigns, shows an appetite for everything new and state of the art. The life span of a given product type, in these conditions, becomes shorter and shorter. To remain competitive, manufacturing enterprises need to keep up with these dynamic market variations, by always adjusting the offer according to competition. On top of this, the poor economic conditions add additional pressure on optimization and efficiency in order to cut costs and maximize profit. Enterprises have understood that the "time to market" becomes a decisive factor that separates successful enterprises from lagers. This time to market can be shortened only by increasing flexibility in the manufacturing process. The purpose of this talk is to present IBM's framework for manufacturing integration, which matches plant floor solutions with business systems and suppliers. IBM's manufacturing integration framework focuses mainly on achieving flexibility by enabling a low coupling design of the entire enterprise system through leveraging of Service Oriented Architecture and Manufacturing Service Bus as best practices. Professor Alexandre Dolgui is Full Professor of Exceptional Class la Ecole des Mines de Saint-Etienne, Deputy Director for Research of Institute Henri Fayol / Director of Laboratory for Information Science and Technology. His areas of scientific interests are: Optimal Design of Production and Assembly Lines, Inventory Control and Supply Chain Optimization, Planning and Scheduling, Computer-Aided Process Planning Solutions, Discrete Optimization Methods, Discrete-Event Simulation. He is chair of IFAC Technical Committee "Manufacturing Modelling for Management and Control"; Member of IFAC Technical Committee "Manufacturing Plant Control", chair of working group "Design and control of reconfigurable manufacturing systems". Professor Dolgui has published more than 400 refereed journal and conference papers, book chapters and research reports. Abstract: In this presentation, first the main characteristics of RFID technology are provided. It is showed that RFID is a big step forward when compared to bar codes. Since this is an emerging technology, a succinct guideline for its deployment is proposed. Existing and conceivable applications, as well as industrial sectors that already use the technology are presented. A particular attention is paid to use of RFID to improve the efficiency of supply chains. Two unavoidable subjects are discussed: privacy concerns and the corresponding protection strategies, as well as authentication that, in particular, include the problem of misbehaving tags. 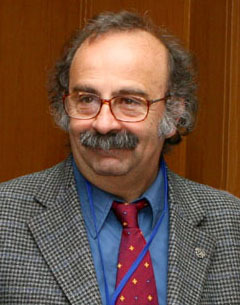 Marco Ceccarelli is Professor of Mechanics of Machinery and Director of LARM, the Laboratory of Robotics and Mechatronics at the University of Cassino. He is member of Commission for Robotics of IFToMM, the International Federation for the Promotion of Machine and Mechanism Science. He has written the books “Fundamentals of Mechanics of Robotic Manipulation” published by Kluwer in 2004 and “Mecanismos” published by Trillas in Mexico in 2008. He has been President of IFToMM for term 2008-2011. His research interests cover aspects of Mechanics of Mechanisms and Robots, History of TMM, and Mechanism Design. He is author or co-author of more than five hundred papers, which have been presented at Conferences or published in national and international journals, and he has edited 16 books as for conference proceedings and specific topic issues. Abstract: Service robots give the possibility of new fields of applications for Robotics by wide spreading robots also into non technical areas. But new requirements and goals need to be carefully considered both in designing and operating specific solutions. In this lecture, main aspects and challenges are discussed both as problems and advantages in developing and using robots in service operations for new areas of applications, by taking particular attention to non engineering aspects that are deduced from new service areas. Key problems for developing service robots for a successful acceptance and use by even non technical users can be considered in terms of specific technical problems for low-cost user-oriented operation systems, but mainly in terms of implications for human-machine interactions. Hector Puyosa has more than 25 years of experience on service, oil & gas and plastic industries. He started his career in 1984 as maintenance electronic and automation engineer providing services for companies on food, beverage, paper and metal transformation sectors. He moved to the oil and gas industry in 1991, working for the Venezuela's national oil company, PDVSA, as process automation engineer. He entered in the plastic business in 1996 as senior process engineer for the design and implementation of the control system for the largest polycarbonate plant built in Spain. He currently works as chemical operation plant manager at SABIC Cartagena. Hector led a GE Plastics global initiative on advanced manufacturing system as technical leader setting priorities and direction around MES and control system, identifying focus group activities and developing metrics of success, defining global standards and process/procedure to retain business knowledge. Hector has a Ph.D. degree on Industrial Engineering from the University of Murcia and is partial-time professors at Polytechnic University of Cartagena. Abstract: Chemical companies are facing tough challenges to compete in a global economic world with overcapacity, high raw material prices and increased product commoditization. Maintain competitive advantages requires to have in place a continuous improvement process to monitoring key business performance indicators, identify business strengths and weakness and timely take actions to maximize profit by efficient production and distribution of goods Purpose of this talk is to present an industrial example on how service science could be applied to sustain chemical operation efficiency by integrating knowledge and systems. Knowledge from operation, engineering, maintenance and process control domains is combined with a so called Advanced Manufacturing System toolkit to improve asset efficiency, optimize plant operation and retain people knowledge. Description of what type of plant data and systems are needed to capture, storage and exchange relevant information to understand process variance, plant uptime and asset availability will be discussed. Lesson learned during execution of this program and identified gap and potential opportunities to create service innovation for chemical operation efficiency is also shared. Christoph Legat studied computer science and business administration at the University of Munich, Germany. For more than four years, he is working for the Siemens AG and is currently with the research group for reasoning and distributed intelligence of Siemens Corporate Technology. 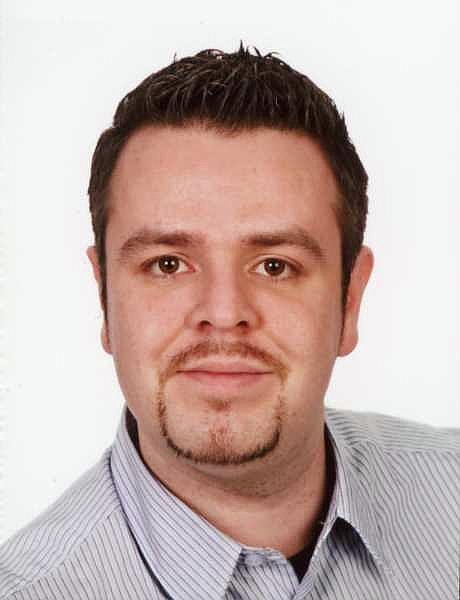 Furthermore, Christoph Legat is currently working towards his doctoral thesis focusing on fault-tolerant field level automation software by dynamic reconfiguration in a close cooperation with the Institute of Automation and Information Systems of the Technical University of Munich, Germany. He is involved in various public funded research projects addressing monitoring and operational control aspects of production lines, product-driven automation and energy-efficiency in manufacturing automation. During the last three years, he has authored more than fifteen international conference and journal publications as well as several national and international patents. His research focuses especially on the application of formal methods and knowledge-based techniques to improve the flexibility and changeability of manufacturing control systems. Abstract: Global and lean supply chains subject manufacturers to sudden disruptions of different severity that affect shops floors and performance. Due to a variety of factors, disruptions do not only occur internally but also externally. Hence, if manufacturers want to ensure competitive performance in a highly dynamic environment, they have to be capable of quickly detecting disruptions and adapting their production adequately. In order to detect external disruptions before its effect will manifest on-site, a novel standardized architecture for coupling manufacturing operations with an EPCIS-compliant real-time tracking & tracing system is presented. The system leverages logic-based complex event processing for detecting critical disruptions in the supply chain and logic-based reasoning for diagnostics of the on-site production system. When detecting a critical situation, adequate compensation mechanisms for robust operation will be initiated. To provide required reactivity, the production system has to be flexible enough to mitigate the effects of unanticipated disruptions. The frequent appearance of supply and production glitches, however, highlights the inflexibility of modern supply and production systems. For this reason, novel approaches to increase the adaptability and reactivity of manufacturing control systems are investigated at Siemens. Recent results of this research will be presented. Furthermore, the impact of the flexibility of manufacturing control systems on the compensability of disturbances within different control levels from production order scheduling to field-level automation software will be discussed. Despite these advanced operation techniques, a great amount of knowledge to detect disturbances and reason about capabilities of the control system for compensation handling is necessary. To bridge the gap between engineering and operation, an integrated, knowledge-based approach to develop flexible field-level automation software, gather additional information from Plant Lifecycle Management Systems and transfer this engineering knowledge into operation will be presented.